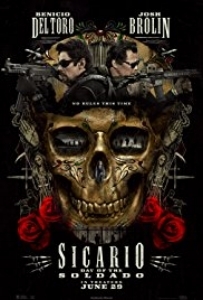 Josh Brolin (Goonies) and Benicio Del Toro (Heinekin salesperson) return to the gritty, dark worlds of Sicario in Sicario 2: Day of the Soldado. The film sets up a dark premise, provides intense action, and plenty of dark-world intrigue and skullduggery. Mike really enjoyed it, Danny less so. Check out the episode for the dish.